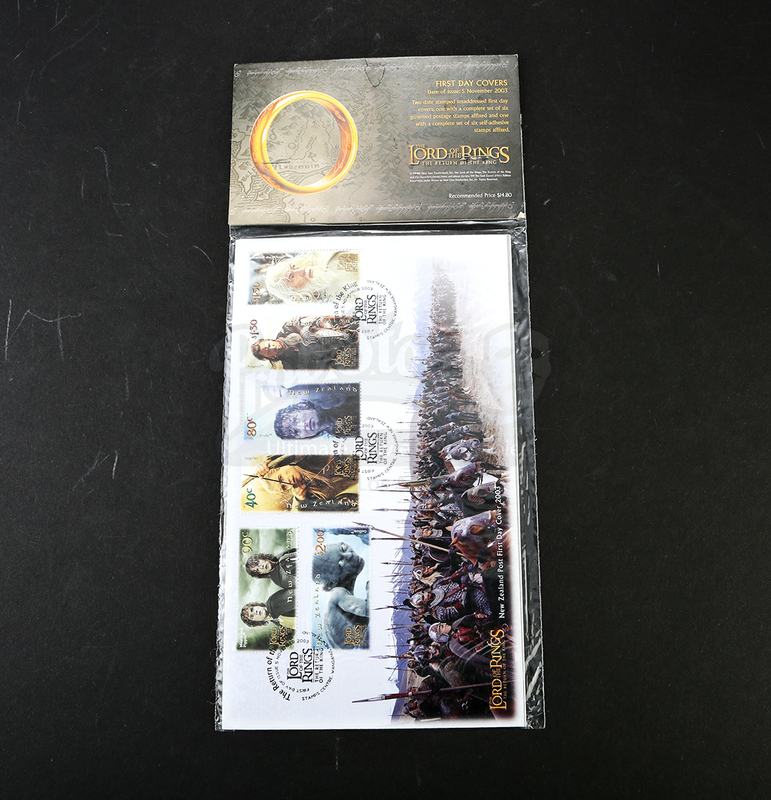 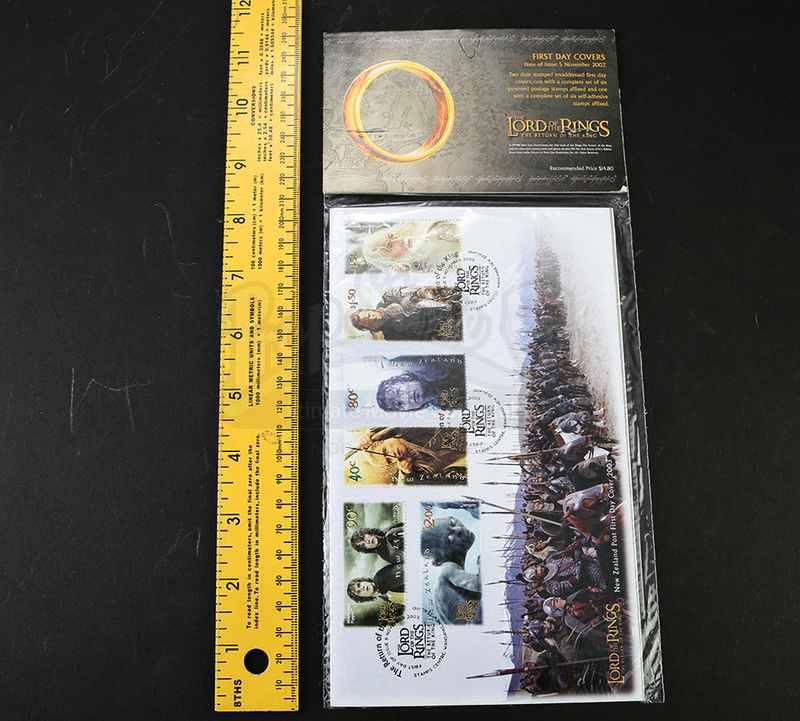 A set of New Zealand Post collector's stamps made to promote the release of the climactic entry in Peter Jackson's Lord of the Rings trilogy, The Lord of the Rings: Return of the King. 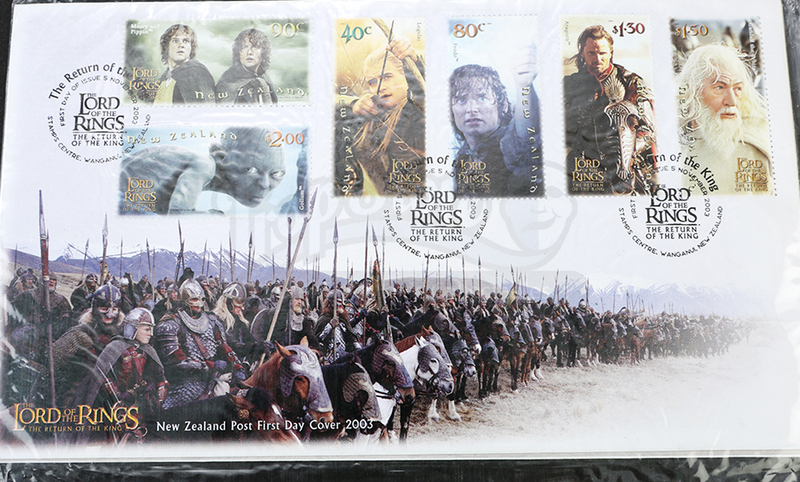 Noting the date of issue as November 5, 2003, the Remaining in original packaging, the item consists of two stamped first day covers. 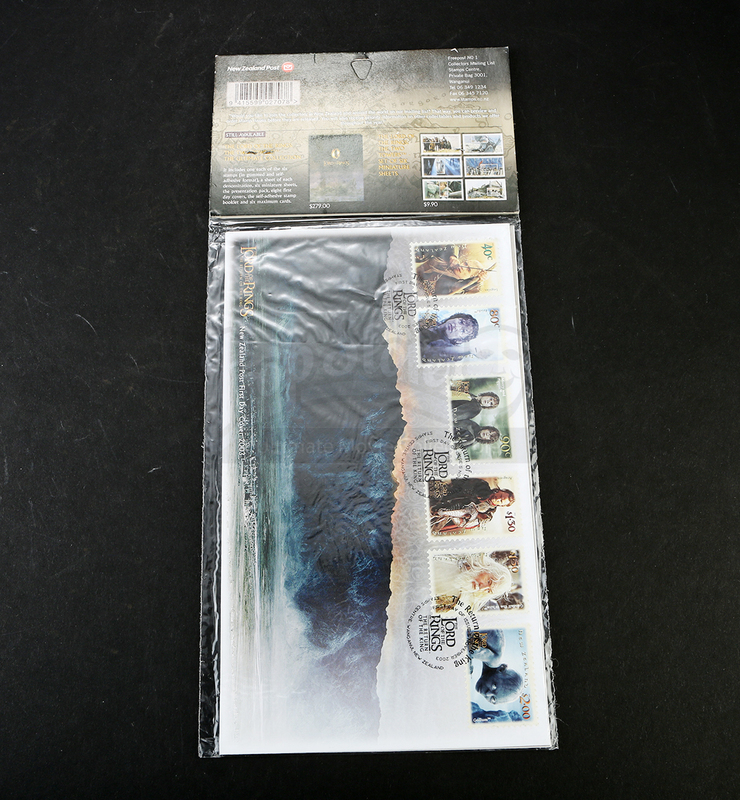 One of the covers features a complete set of six gummed postage stamps fixed onto it and the other includes a complete set of six self-adhesive stamps fixed onto it. The stamp remains sealed in its original packaging and is in excellent condition.